So I’m trying to draw more body types than usual lately. 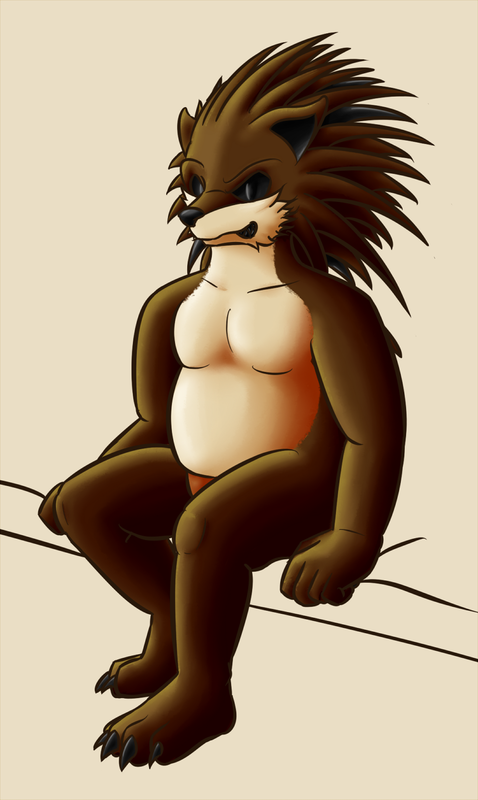 So here’s a chubby hedgehog who is also naked apparently. Tried to make it more Hedgehogy than Sonic-y but alas. Also whoops catering to my interest in shiny things. Black eyes/Nose/Teeth/Claws/Random Quills are meant to be Rubber/latex. No idea if I pulled that one off. Here, have this freak of nature.